Patterns were handed down by eye & word of mouth. A youngster would learn off her older relatives, cutting her teeth on small & easy stuff like socks, welts & half-sleeve repairs. Later she might spot an attractive design which she could incorporate into her own Ganseys. 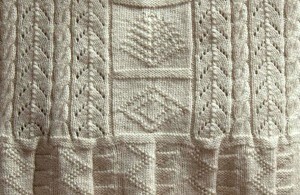 Interestingly, what remained a constant were the hidden details such as how to knit a gusset or what you did with your loose ends. 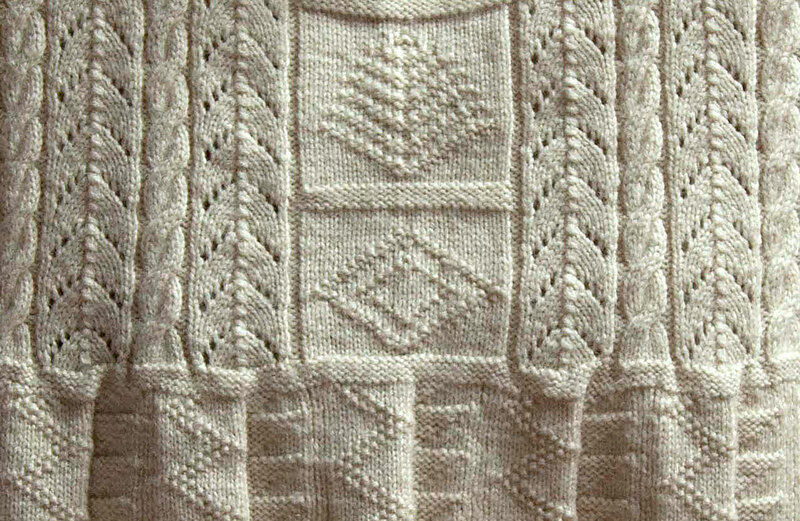 These details provide almost forensic clues as to who learned off who & reveal the constant currents beneath the shifting surface of individual knitters’ creativity.